There are many ways to find a job. One is a targeted job search. It is a job search where the you make a list of companies where you are interested in working. You can apply for open positions found on the company’s website. Or you contact members of your network with to find open positions that are unadvertised. You should consider both approaches to leave no stone unturned. 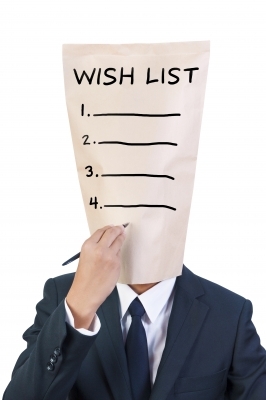 The task begins with assembling the target list–the list of companies where you have an interest. First you choose the geographic area, then the type of organization such as size and industry. Next comes the research to find the companies that suit your requirements. One way is to drive around the geographic area looking for office parks and buildings then writing down the names of the companies that are located in the park or building. Once this has been done, you go home to look up the companies on the Internet to see if they fit the targeted company criteria. This approach can be time consuming and expensive with the rising cost of gas. A more efficient search can be done on the internet. Listed below is a small sample of websites that are beneficial to your search for target companies. www.careerinfonet.org/employerlocator: This site allows you to search for employers by industry, occupation, location and keyword. The site is sponsored by the U.S. Department of Labor, Employment and Training Administration. www.google.com: Searches can also be done by industry, occupation, locating and keyword. www.bizjournals.com: This site provides articles about companies. The link will take you to a general site, but you can do a search for a biz journal in many local areas. www.chamberofcommerce.com: (should this be underlined as a link?, should this be followed by a colon?) The site has a listing of local chambers where you can look at members in selected areas. www.rileyguide.com: has links to telephone directories, newspapers, magazines, headline news, unions, associations, and societies. All informative sites for finding lists of companies. www.statelocalgov.net: State and local governments have websites where you can find local employers. Now that you have assembled a list of companies where you are interested in working, but further research is needed to know as much as you can in the event of an interview. Also, knowing as much as you can about the company will help you create a résumé that shows how you can solve the pain the company is looking to solve. 1 Comment to "How to Find Companies for Your Target List"
This is good information to acquire. Thanks for sharing it with us. I had my resume re-done, a new photo for LinkedIn, and now I am ready to dedicate my time to searching for a new position. Hopefully, you’ve made the search a little easier. « How do others see you?